Proofreading for publishers is something every professionally trained new entrant to the field should consider. Many of my experienced colleagues work exclusively for publishers. I used to and don't regret it for a minute. And it can be profitable, despite what you might have heard. Some proofreaders are finding that publisher work is not as profitable as it once was. Perhaps the fees haven't increased in real terms, or the proofreader is being expected to check more words per paid page. Being efficient has become key to sustaining these valuable client relationships. The PDF below includes some tips and tricks on how to make proofreading for publishers (and packagers) profitable by spicing up your digital efficiency. The advice is based on my experience of working for academic publishers for over a decade. ​Click on the image to download your free copy. I hope you find it useful. What's a sample edit? Who does it help? And is it free? 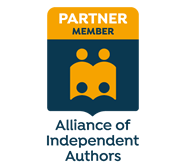 Many independent authors want to see a sample of an editor or proofreader's work prior to signing a contract for editorial services. I completely understand why: broadly, it gives the author the opportunity to compare the work of several different professionals and to assess the editing or proofreading against the price being quoted. For line editing and copyediting, the intervention will be much deeper, involving not only micro corrections but also suggested recasts that smooth out and tighten up writing that’s disfigured by repetition, wordiness and awkward syntax. Here, we’re still working at the sentence level, but there’s a much higher degree of subjectivity involved. The editor needs to be sensitive to the author’s style, the characters’ voices and the mood of the scene such that the soul of the writing remains intact. What’s in it for the editor or proofreader? Definitions of the different levels of editing vary widely from client to client and editor to editor. What X calls proofreading, Y would call copyediting. What Y calls copyediting might be called line editing by Z. And where definitions differ, so do expectations. Working on a sample enables me to assess what’s required – regardless of the word(s) being used to describe that service. Time: How long does it take? Doing a sample edit shows me how long it takes to work through, say, a thousand words. That means I can estimate how many hours the project will take to complete and whether/when there’s an appropriate slot in my schedule. A 100K-word novel that needs copyediting for spelling, punctuation and grammar errors and inconsistencies, and only a little tweaking for clarity may take 35 hours (one to two weeks in my schedule); a novel of the same length that requires a deeper line edit may take 100 hours (four to six working weeks in my schedule). Once I know roughly how long the project will take to complete, I can price it accordingly. I usually find that the process of immersing myself in the author’s words comes easily. In the case of a deeper line-editing sample, the work will certainly be time-consuming but I can feel my way through – mimicking the author so that my edits (or suggested recasts) improve and complement the original writing rather than rubbing up against it. This isn’t always the case, though. Sometimes I’m just not a good fit – it’s not obvious how I can put the ooh! into the writing. It’s not that the amendments I’m making are technically incorrect but rather that I’m not able to find that emotional responsiveness that the client needs. When that happens, it’s time to thank the author for the opportunity to do the sample and provide a quotation, but recommend they work with someone else. ​I usually charge a set fee of £50 for a sample of 1,000 words. Some of my colleagues offer free sample edits, so why do I charge? Every minute that I spend doing free editorial work is a minute I could be spending on paid-for work for clients or maintaining my business’s visibility (which is what leads clients to me in the first place). Because I’m visible, I have little spare time in my schedule to fit in additional work, and certainly not free work. I was curious as to whether potential clients would object to my charging for samples. In fact, since I introduced the policy last year, most enquirers have reacted to my fee positively – ‘Of course, not a problem’ is the standard response. This allows me to treat sampling like any other job I’m commissioned for. There have been cases, though they’re rare, where a client has asked 20 or 30 editors from my professional editorial society for a sample edit, and the chapters offered are all different. It appears that the enquirer is looking for a backdoor to a free complete book edit, farming out bits and pieces here and there. Charging for samples enables me to filter out the cheats. Charging for sample edits may not be the best course of action for all editorial freelancers. While I’ve encountered little objection to date, there are some perfectly legitimate clients who expect a small sample to be edited for free on the understanding that an hour or two of gratis work is acceptable given the reasonable odds of securing the full project. If you’re a new entrant to the field and are still building your discoverability, you might well decide that you want to take every opportunity possible to secure paying work. And if that means doing a few small freebies here and there, that’s a price you’re willing to pay. In this case, you’d be justified in regarding free samples as part of your marketing strategy. I think this is a valid argument. In my start-up phase, I didn’t charge for samples for this very reason. If you’re still building your business, you may have space in your schedule that more experienced and visible colleagues don’t have. In that case, the opportunity cost of doing a free sample will not be as high. You could view the opportunity to do free samples as a way of developing your experience. You can apply what you’ve learned in training to live test cases. By tracking whether these sample edits convert into commissions, you’ll be able to glean whether what you’re doing is appealing (or not) to potential clients. If you’re a new entrant to the field, sampling can be an invaluable teaching tool that gently introduces you to texts that need very different levels of attention. When I started up my business, the one thing that worried me was the element of surprise. What if the proofread I’d been commissioned for turned out to be a complete nightmare? What if in only reading the text, rather than actually working on it, I’d vastly underestimated the speed at which I could work and therefore undercharged? Doing samples is a great way for the new starter to get a good sense of what they’re taking on, but in a safe space with no obligations. And because no money’s changed hands, there’s no chance of complaint because of misunderstandings over what’s on offer (from either the editor or the client). I charge for sample edits (most of the time); others offer freebies. Some of my colleagues don’t offer sample edits at all, free or paid-for. There’s no right or wrong choice. How you decide to handle the issue should be based on what’s right for you, not on what others are doing. Consider your availability, your stage of editorial business ownership, whether free sampling could be a marketing or CPD tool, and how comfortable you are with the possibility that some legitimate clients could be discouraged by charges. ​Think about doing a test over the course of a year – commit four months each to offering free samples, paid-for samples and no samples, and track your conversions. The results may surprise you! Here's something to help you decide whether free, fee or test is the best approach to handling sample edits. Hope you find it useful! And if you want a flavour of what other editors are doing, take a look at the lively discussions on LinkedIn and Facebook that emerged when I posted links to this article.